Primary Role: The primary role of Robson Bight (Michael Bigg) Ecological Reserve is to provide a sanctuary for killer whales and to protect significant killer whale habitat. 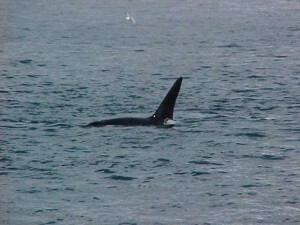 It is the only sanctuary for killer whales on the west coast of Canada and is globally significant. The whales are a large tourism draw for the North Island, but here in the ecological reserve, the whales are free from harassment. 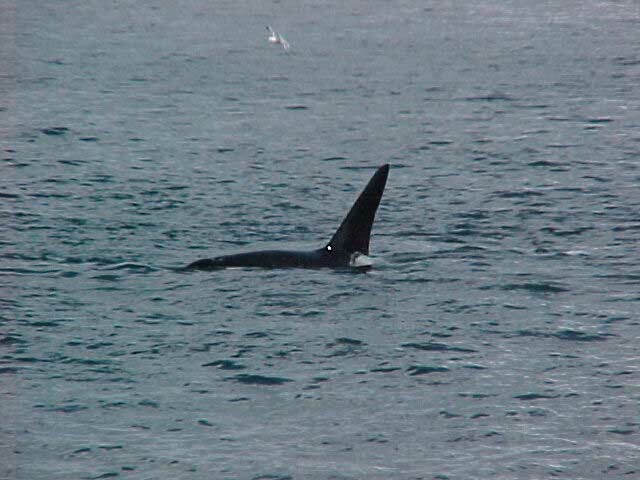 The area is unique for its intensity of use by killer whales, and the range of activities engaged by them. Other marine mammals that occur in the area include humpback whales, Dall’s porpoises and Pacific white-sided dolphins. The ecological reserve also protects the only undisturbed estuary on the east coast of Vancouver Island, forested shorelines, and an environment rich with marine life due to strong tidal currents that produce constant mixing of Johnstone Strait waters. Up to 70 percent of the salmon heading for the Fraser River spawning grounds pass through the area. The estuary has diverse flora and fauna, supports high populations of invertebrates, and is important feeding and rearing habitat for juvenile coho salmon, Dolly Varden char, and herring. All five species of Pacific salmon, steelhead trout, cutthroat trout, Dolly Varden char, and eulachon migrate through the estuary to spawning grounds in the Tsitika River. The Tsitika River is important for its summer run of steelhead trout, which is the only significant run left on the east coast of Vancouver Island. The river system and associated mature forests is also an important flyway for the red-listed marbled murrelet and important breeding and foraging habitat for northern goshawks. Secondary Role The secondary role is to protect the natural environment. Robson Bight (Michael Bigg) Ecological Reserve contributes to the representation of the Northern Island Mountains Ecosection (NIM) and the Johnstone Strait Marine Ecosection (JS) both of which are under represented in the protected areas system. With 1,248 hectares of foreshore Robson Bight (Michael Bigg) Ecological Reserve is the 2nd largest contributor to the representation of the Johnstone Strait Marine Ecosection. Together with Lower Tsitika River Park, Mount Derby Ecological Reserve and Tsitika Mountain Ecological Reserve, much of the lower end of the Tsitika River has been protected. Tertiary Role The tertiary role is for research and education. The Robson Bight (Michael Bigg) Ecological Reserve provides an opportunity to educate visitors to the North Island about killer whales, their biology and the ecological reserves program. The ecological reserve has hosted and continues to support research on the interaction between whale watchers and the whales and on whale biology and sociology.